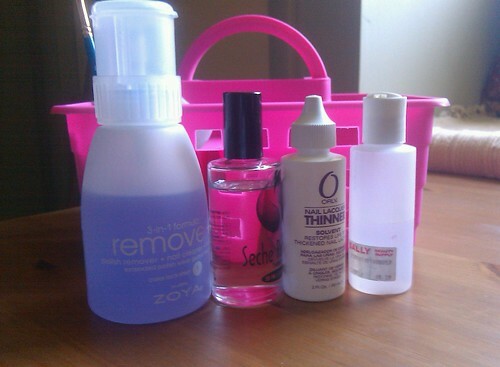 Do you keep all your "stuff" for manicures together? 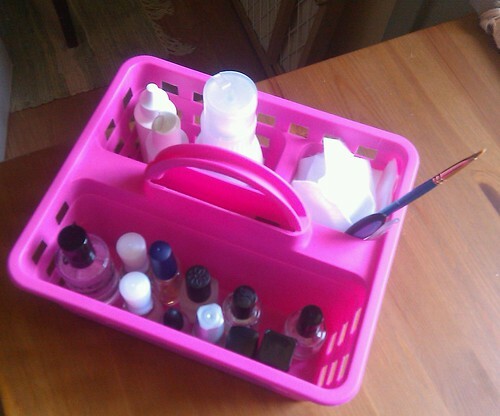 I tried several different options before I settled on using shower caddies! 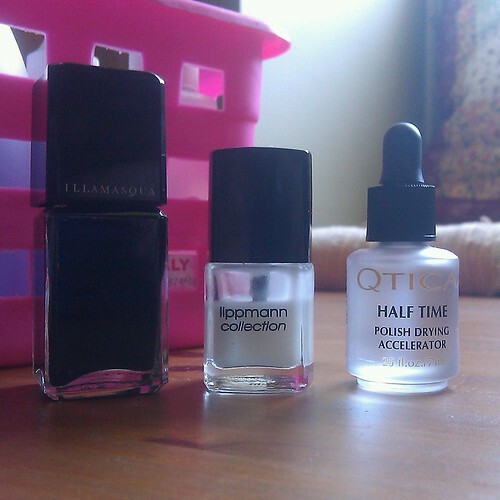 I have two, this one and a back up in my "other" room I do my nails in. 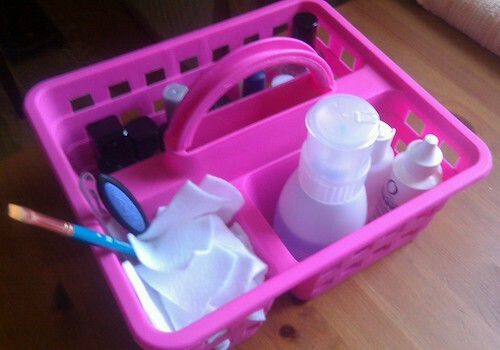 I got this pink one recently at Target for $1 ~ can't beat that! Wanna see what I keep in it? Besides that massive pile of felt? And all those TC's and BC's? So fellow addicts, how do you store your essentials?